A thousand miles north of Napa, this little known part of British Columbia is breathtakingly beautiful with it’s unique landscape scattered with gorgeous vineyards and lakes as far as the eye can see. An explosion of wineries produce fine beverages along with farm-to-table food. This truly is Beautiful British Columbia at its finest. We’re happy to recommend our favourite wine tours. Many of our BC vineyards offer world-class local cuisine paired with their award-winning wines, so plan to stay for a while and enjoy a glass or two with your meal. Ride the rails - on a bike, that is Take advantage of the Kettle Valley Railway and explore the area like the locals do on the de-commissioned tracks which are now home to an extensive recreational trail. In the lush Okanagan Valley you can sip, cycle and swim to your heart’s content. 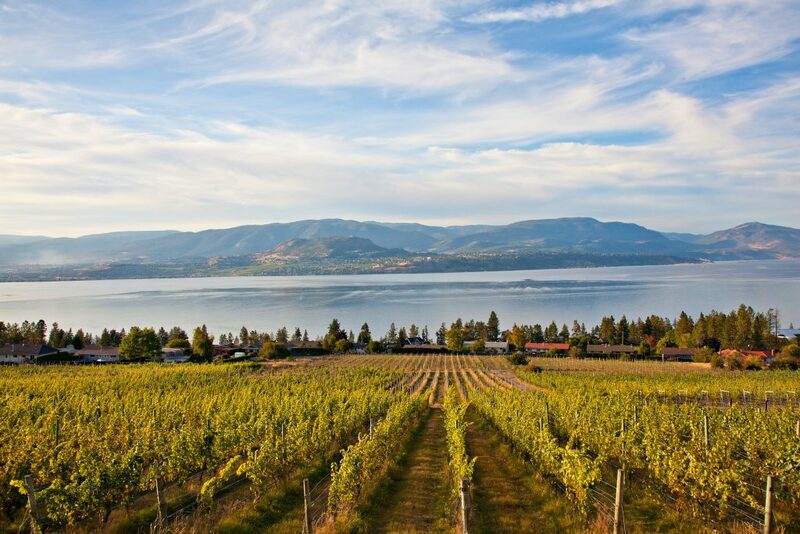 Best known for its vibrant lake culture, you’ll find historic fruit orchards and award-winning vineyards sitting side by side next to modern urban centres. Winter brings a whole new list of reasons to get outside with world-class ski resorts, ice skating trails and plenty of cozy, out-of-the-way places where you can warm up.